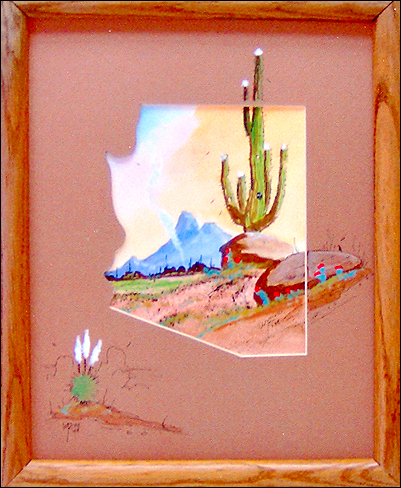 This piece depicts a desert scene with Picacho Peak in the background. A custom mat in the shape of the State of Arizona was made by Carol Zivic who does all the framing. A unique piece that includes 3 hidden images in the painting.